Hicks Law? Ask the Universe? Law of Attraction? What is all of this lingo? Hicks Law? Law of attraction? Ask the Universe? ging new information, and follow the trail that unfolds before you. The law of attraction (Hicks Law) itself will insure you get all of the information you need, if you continue to stay open, curious, and full of desire to leave the safety of your cul-de-sac life, and listen to your emotional guidance system as it directs you away from what feels bad and toward what feels good, right and aligned with who you really are. You will know you are on the right track when you experience more and more moments of joy. Cul-de-sac thinking is safe, too, in maintaining the status quo. You have one way of thinking, it ends in the same place, and then you can circle back to the beginning of your thoughts and start the same thinking all over again. This is what people in pain do. They engage in cul-de-sac thinking. There is no room for new information, new perspectives, and new ways of taking in the same information. For over a years now, I have been teaching a class on The Law of Attraction, (which is now available online as well as in person, if you are curious about participating in a class). My classes are based on the information written by Jerry Hicks and Esther Hicks, with the help of Abraham (some call this Hicks law). I don’t recall what led me to my first book by the Hicks, initially, but I do recall thinking that everyone should read it, and how just reading it changed my energy, mood, and gave me a hopeful lift with every new line. The first book I read of theirs was titled, The Law of Attraction and I was hooked from the beginning. 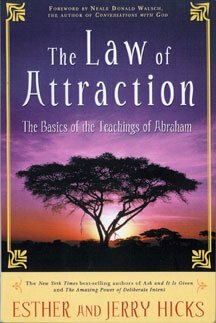 Tthere is an initial chapter worth noting, that discusses the role of Abraham, and how Esther Hicks communicates with this source energy. Personally, I feel indifferent about this, but some people reject this possibility. If you find yourself doubting this part of the information, I encourage you to continue your reading long enough to see the value in the information itself, regardless of how it comes to be. How the information is sourced is irrelevant to me; the information is what is powerful. There is an author, Andy Shaw, who has authored books on the topic of “A bug free mind.” Though I have historically studied Hicks Law as my go-to resource for information about the law of attraction. I have read the books written by Jerry Hicks and Esther Hicks, well, and Abraham, and I am a big believer that I can ask the universe for what I want and need and the universe will conspire to support me (loosely paraphrasing from The Alchemist). One of the tools Andy Shaw teaches in his books is the development of an “observing mind.” This is the art of noticing and allowing, without judgment or story. As soon as we draw a conclusion about something, we stop observing. As soon as we create a story about what is happening, why it is happening, and what it means that it is happening (or isn’t happening), we have suddenly put ourselves in a cul-de-sac, and all we can do is circle back from where we came and return to this story, going back and forth. What we need in order to maintain an observing mind is an open road that continues to acknowledge, observe, and accept new information. Think about every conflict, every disagreement, every argument you’ve ever resolved. Did it ever get resolved because you proved to the other person you were right? Unlikely. My guess is that both of you found a way to see the situation with more of an open mind, and each of you found a way to let go of the story you had held on to so tightly so that you could see the situation from a new perspective. Maybe because I am talking about the law of attraction, for example, you find yourself curious, wondering what this is? Or that I reference Jerry Hicks and Esther Hicks. Is this Hicks Law? And who is Abraham? What does it mean to ask the universe? Have you allowed yourself to be curious, or are you more inclined to stick with what you know and find new ways to recycle old information? Do you want to feel better, starting today? It might be worth joining me for a class on The Law of Attraction, or maybe you could start by exercising an observing mind, or perhaps you could think of something simple you desire, and simply ask the universe for it, and marvel at how quickly you receive exactly what you desire. It’s not magic, it’s real. Here’s a radio interview of me discussing the law of attraction with the hosts of Living on Purpose.